The EUCLIDS project will be hosting its Final Conference, on the 27th May, in Madrid (Spain). 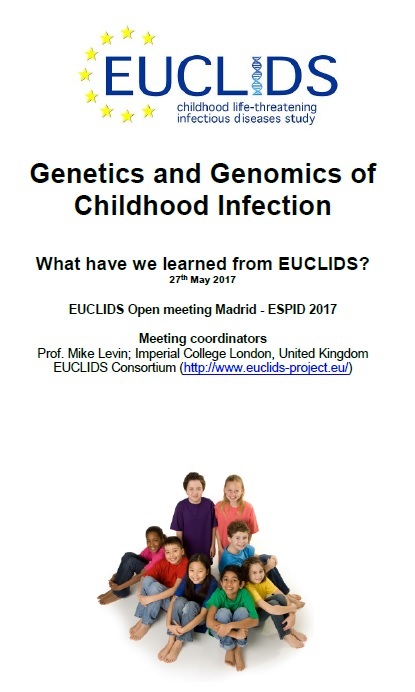 Held as part of the ESPID 2017 (European Society for Paediatric Infectious Diseases) international conferences, the conference will be an opportunity for the main research groups that have worked on the project to showcase major findings and discuss the implications and impact of the results. One of the crucial goals of the EUCLIDS project is contributing towards the training of young clinicians and scientists. 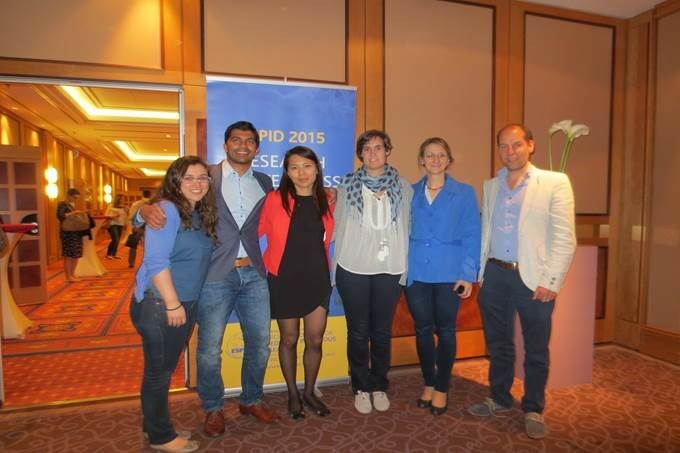 In this context, a EUCLIDS group of five junour researchers, led by one senior researcher, participated in the 7th Research Masterclass of the European Society of Paediatric Infectious Diseases (ESPID) at the annual meeting in Leipzig, in May of this year. The masterclass was a closed, seminar type forum for active pediatric infectious diseases (PID) research groups in Europe. It was a high level opportunity for young researchers to present their studies and to discuss and debate findings with other colleagues from across different European research groups. Two presentations were given for EUCLIDS, with a heavy focus of the sessions being dedicated to an overview of recent PID research in Europe. Overall, the even proved a success and a worthwile opportunities for researchers to develop their skills towards effectively communicating science to public audiences and to show-case their research's meanginful results. EUCLIDS 2nd open Workshop "How genomics influences disease, diagnosis and patient care" was a great success with 55 attendees. A workshop was held on the 13th November 2013 targeting clinicians and scientists who work in the bacterial infectious diseases field. The aim of the workshop was to outline and discuss the state-of-the-art genomics research can be translated into disease, diagnosis and patient care. A panel of international experts and members of the EUCLIDS consortium will be leading the discussion. The workshop was held on the 13th November 2013 at the Hotel Das Weitzer in Graz, Austria. The next EUCLIDS workshop will be held in autumn 2014. 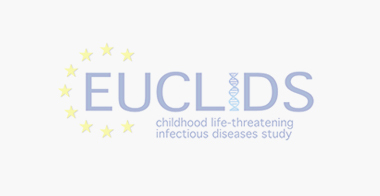 Workshop: "State-of-the-art approaches for clinical studies of bacterial infectious diseases"
EUCLIDS 1st open Workshop "State-of-the-art approaches for clinical studies of bacterial infectious diseases" was a great success with 55 attendees. It focused on the latest and upcoming tools used in clinical studies of bacterial infections diseases, targeted to clinicians and researchers with an interest in the field. A panel of international experts and members of the EUCLIDS consortium will be leading the discussion. The workshop was held on the 26th October 2012at the Hotel AC Palacio del Carmen in Santiago de Compostella, Spain. The next EUCLIDS workshop will be held in autumn 2013. Please can you put up a copy of the Workshop poster in your department! The EUCLIDS project officially started on the 1st December 2012 and the kick off meeting was held on the 9-10th December in London.